What a site, a truly remarkable ship, at an appropriate landing stage. I remember when the Parthia and the Media used to embark from that location in the 50’s. 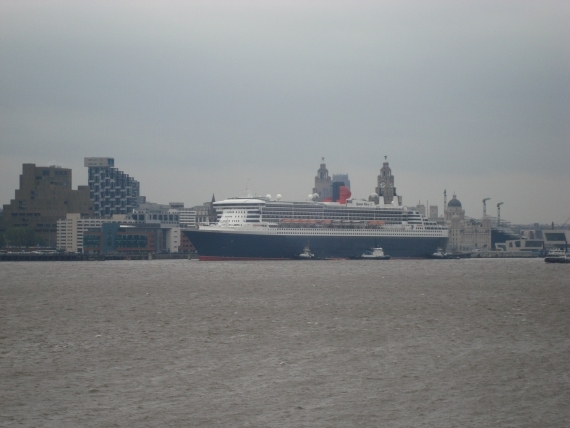 What a sight, a truly remarkable ship, at an appropriate landing stage. I remember when the Parthia and the Media used to embark from that location in the 50’s. I feel proud to live ten minutes away from the river mersey. I love to see the ships come in. The mersey looks lovely lit up too by fireworks from the great liners. The tall ships are coming back too, i cannot wait to see them. It makes us all proud and emotional.